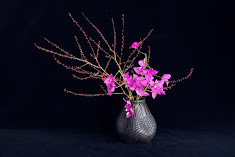 Shoso Shimbo PhD is a certified teacher of Ikebana and has over 30 years experience in Ikebana. He studied under the late Sogetsu Head Master, Hiroshi Teshigahara. Shoso was selected by Belle magazine as one of six “Australia’s top floral designers” and has won multiple awards including the Gold Award at the Melbourne International Flower & Garden Show. His work was selected for the prestigious publication, International Floral Art 2014/2015 & 2016/2017, Stichting Kunstboek (Belgium). His sculptural works have been featured in some of the major contemporary art exhibitions including the Toyota Sculpture Exhibition, Lorne Sculpture, Deakin University Contemporary Small Sculpture Award Finalists Exhibition, Yering Station Sculpture Exhibition and the New Wave Art Festival at the NGV. He won the Arnold Bloch Leiber Prize at the Yering Station Sculpture Exhibition 2017. His recent commissions include a public work of art for the Archibald Award Exhibition 2015 at the Art Gallery of Ballarat and the Wye River Project as part of the Lorne Sculpture 2016. A common theme through many of his works is harmony with nature's organic order and the relationship between man and nature, where man is a part of the natural order rather than the owner of it. Shoso has an MA in Japanese Studies, a Master of Fine Art and PhD in Education. He is also qualified as a garden designer (Japan Horticultural Society) specialising in Japanese gardens. 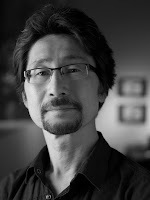 He is a directer of International Society of Ikebana Studies and he teaches Japanese Aesthetics at RMIT Short Courses. He has numerous publications on Ikebana and contemporary art and is a regular contributor to Living Now, Dengon Net & the International Journal of Ikebana Studies. 2009 Positive Thinking: The Secret to Success in the Language Classroom. Köln: Lambert Academic Publishing. 2016 Environmental Art and Ikebana, International Journal of Ikebana Studies (IJIS), 4, pp. 27-38. 2015 Flowers in Contemporary Art, International Journal of Ikebana Studies (IJIS), 3, pp.11-19. 2015 Ikebana to Contemporary Art: Rosalie Gascoigne, The IAFOR Academic Review, Vol.1, Issue 2, pp.16-20. 2014 Ikebana in English: Bibliographical Essay, International Journal of Ikebana Studies (IJIS), 2, pp.99-107. 2013 Hiroshi Teshigahara in the Expanded Field of Ikebana, The International Journal of Ikebana Studies, 1, p.31-52. 2007 The Effect of Suggestion on Tertiary Students’ Attribution and Self-Concept. Education Research and Perspective, 34 (1), 179-197. 2015 No Discrimination: The First of Ikebana’s ten Virtues Ten Virtues. Living Now, Issue 184, p. 17. 2015 Ten Virtues of Ikebana: Ten Reasons to Love Flowers. Living Now, Issue 182, pp. 10-11. 2009 The Spiritual Power of Flowers: Ikebana and Shinto, Dare to Dream, Issue 5, pp.26-29. 2007 The Ten Virtues of Ikebana: Ikebana and Zen, Living Now, September to December. 2018 Creativity & Education: Environmental Art as a Vehicle of Message. Central de Studii European, Facultatea de Drept, Universitatea Alexandru Ioan Cuza, Co-funded by the Erasmus + Programme of the European Union, April 17, Iasi, Romania. 2018 Environmental Art as Public Art. Creating Utopia Conference 2018 Sponsored by Deakin University, Lorne Sculpture Biennale, 22-25th March, Qdos Arts Lorne. 2018 Japanese Aesthetics and Environmental Art. The Asian Conference on Arts and Humanities, The International Academic Forum. March 30 - April 1, Kobe Japan. 2017 Transition of Environmental Art: In Search of the Strategies for Sustainability. The Asian Conference on Arts and Humanities, The International Academic Forum. March 30 - April 2, Kobe, Japan. 2015 Power in the Discourse of Art: Ephemeral Arts as Counter-monuments and Beyond, The Sixth Asian Conference on Arts and Humanities. The International Academic Forum. April 2-4, Osaka, Japan. 2013 Ikebana to Contemporary Art: Cross Cultural Transformation in Rosalie Gascoigne, The Asian Conference on Cultural Studies. The International Academic Forum. May 24-26, Osaka, Japan. 2012 Re-positioning Ikebana in Contemporary Art. The Third Asian Conference on Arts and Humanities, The International Academic Forum. April 5-8, Osaka, Japan. 2015 International Floral Art 2016/2017. Oostkamp: Stichting Kunstboek. 2013 International Floral Art 2014/2015. Oostkamp: Stichting Kunstboek. 2006 Dumbo Feather, Issue 7, pp.50-67. Shoso's logo is his own family crest. The crest, Ken Katabami means swords and oxalis corniculata (creeping woodsorrel). The original design of hte crest was first used in Heian period (794 - 1185). Swords are symbol of samurai spirit and the three leaves represent compassion, wisdom and virtue.